Marketers are no strangers to the terms such as AI, AR, machine learning and blockchain, with some being quick to jump on tech hypes to stay ahead of the curve. 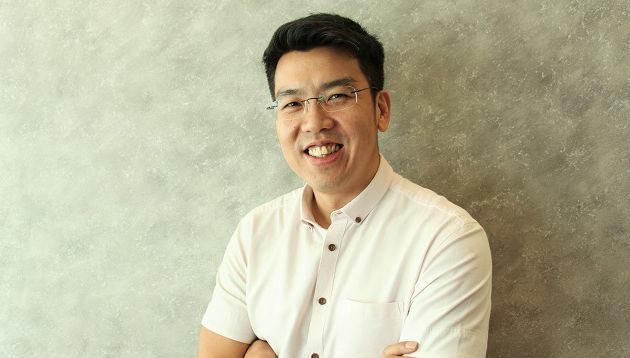 However, Tai Kam Leong (pictured), head of brand and partnerships, Maxis believes this to be a “misconception” as marketers, in his views, do not need to “chase after” the latest technology and tools in hopes that they find the “silver bullets” that meet their needs. In an interview with A+M, Tai said that more often than not, new innovation such as AI, AR and machine learning require careful, smart application much more than just fast adoption. While technology has always been at the core of the telco’s marketing approach, as evident in its 2019 Maxis Dooit Live campaign, Huat AR Chinese New Year campaign and Bola Raya AR campaign for the World Cup last year, Tai deems words such as AI, VR, AR, maching learning, big data, bots as “cool buzzwords”. “What is more necessary is the deployment of these tools to do more of the same at a heightened level,” Tai said. Meanwhile, marketers are also facing the challenge of efficiently reaching Malaysians due to the proliferation of digital media coupled with high internet penetration and a young population profile. Digital is one of the main focuses at Maxis. While Tai declined to reveal the exact amount the telco is investing in digital, he said that digital forms the “biggest slice” of its media spend. However, the journey towards going digital and ensuring a good customer experience is not easy. Going digital means companies need to have a “seamless transition” and great user-oriented design of the customer experience, Tai said. As such, one main challenge would be to ensure marketers have common metrics of measurements and interoperability of platforms, he added. “Brands should also be concerned about transparency, accuracy, compliance – just generally sifting the truth from the hyperbolic claims. That applies to relevance, performance, impact and data in general,” Tai said. Nonetheless, Tai said that from a telco perspective, the team still has much to learn when it comes to digital. When it comes to data and analytics in particular, he added that while clients are aware about the importance of data and analytics, they have yet to realise the full potential that data and analytics sit on. “Perhaps it is a fallacy to believe that there will ever be a solution, and it is best to embrace the imperfections of media and conversations today. At Maxis, we embrace the ethos of learning, constant measurable improvement as well as positive progress,” he said. Attribution, causality of creativity, relevancy and clarity in chaotic times are some of the other challenges faced by the team at Maxis. Despite the case, Tai believes Maxis can still cut through the clutter in the telco space with simple, relatable and clear propositions. Marketing is a lot more than making someone buy something; it’s that interesting balance of intuition and logic to create genuine value. At the end of the day, Tai and his team has an ethos internally that boils down to the phrase “What’s Next?”. Staying true to the ethos, the team constantly seeks new means of enablement powered by technology for society, and looks forward to more marketing that is highly relevant, including tech-powered experiences that enable and inspire consumers and marketers alike. Maxis currently works closely with its agency partners Ensemble Worldwide, Leo Burnett, Initiative, Kingdom Digital, APD and SearchGuru to flex its creative muscle. When it comes to the client-agency relationship, Tai said that time is a factor. Specifically, the more time there is to learn, play and fail and repeat that process, the more you can push boundaries. “Personally, I feel that more time spent equals better shared goals, more productive processes and greater outcomes. The model currently doesn’t encourage or facilitate adequate time,” Tai said. He added that he hopes to spend more time with more of the right people, discussing about issues that matter. Finding good marketing talent will constantly be an issue that plagues the industry. Understanding and learning how to apply motivations and skills of one’s talent to the function of marketing will continue to be an ongoing challenge also, Tai said. However, it is also hugely rewarding and highly valuable when marketers overcome it. Specifically, learn to be comfortable with data, and be uncomfortable with imperfections. Agility and bravery should always be encouraged. Can a finance man lead Twitter’s marketing? Twitter is tipped to be moving its CFO to the CMO role. But is Anthony Noto the best man for the role?..